Embattled FIFA President Sepp Blatter received a nice vote of confidence on Wednesday from a global figure that's perhaps even more upstanding and beloved than himself - Russian president Vladimir Putin. Yes, the supreme leader of Russia has backed the man who helped his country, fairly and squarely, win the rights to host the 2018, without a sniff of controversy or the suggestion of a single ruble changing hands. In a moment that would not be unlike Mother Teresa defending the life's work of Ghandi, Putin stood up for Blatter at the World Cup preliminary draw ceremony in St Petersburg over the weekend, and batted away any talk of controversy. 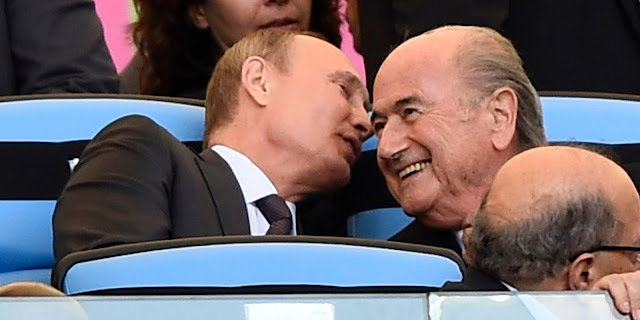 “We all know the situation developing around Mr Blatter right now. I don’t want to go into details but I don’t believe a word about him being involved in corruption personally. 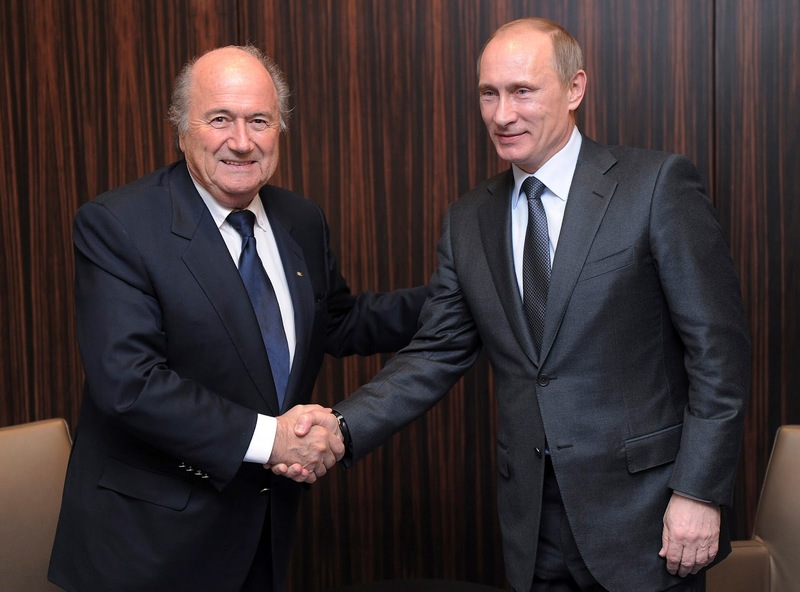 “I think people like Mr Blatter or the heads of big international sporting federations, or the Olympic Games, deserve special recognition. A wonderful touching tribute that was hopefully noticed by the Nobel committee.